While you may be familiar with Dollar Tea Club and our monthly subscription boxes, you may be surprised by the world of natural subscription box sites out there! 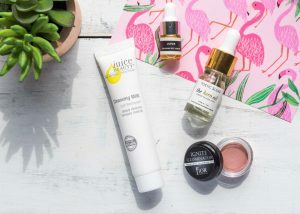 If you’re interested in natural beauty products, we’ve rounded up a list of the best natural beauty boxes you seriously need to try! Foxy Boxy sells affordable, vegan organic skincare products that are delivered monthly. Prices start at $26 per month (12-month subscription) and can increase to up to $30 (month-by-month). Each month, subscribers receive a variety of full-size products, with an average total retail value of over $50. Foxy Boxy also sells a variety of single products for those who want to know exactly what they’re purchasing. 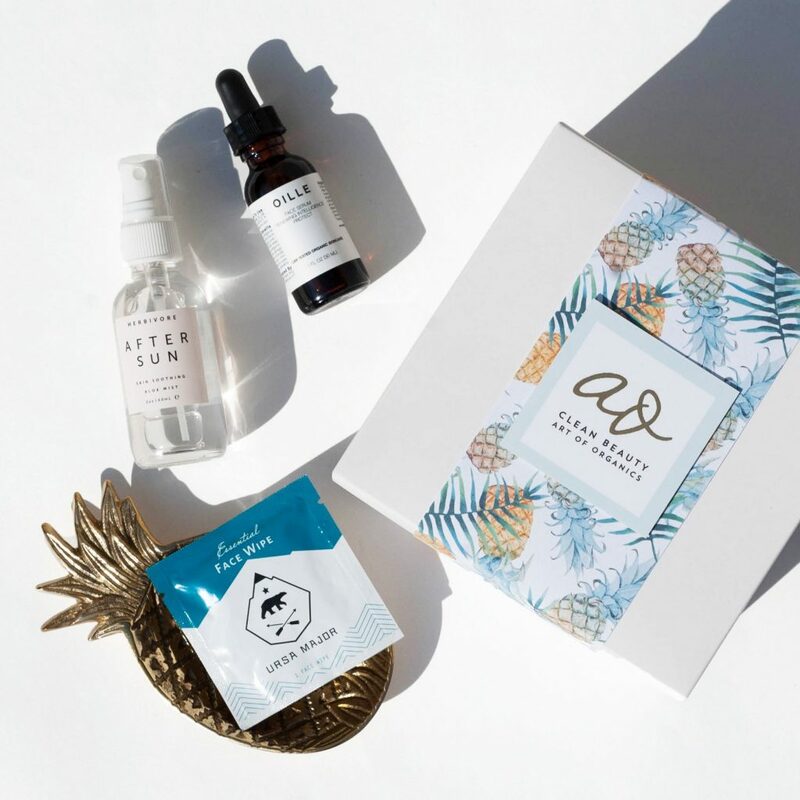 A Sunday Mood subscription box arrives with a variety of different indie brands, including vegan beauty products, organic and environmentally friendly bath products, handmade jewelry, household items, art prints, and so much more. A sample box starts at $25, with a full-size box starting at $44 (monthly). Beauty Heroes is dedicated to clean and healthy beauty products. Each item they sell is toxin-free and contains natural as well as organic ingredients that have been ethically sourced. All of this, and you also receive a high-quality product! If you purchase their monthly subscription box, you’ll receive one full-size Hero Product per month (with 15% off their Beauty Store). Subscriptions boxes begin at $115 for a 3-month subscription. Petite Vour sells non-toxic and vegan beauty products that they describe as “ethically made luxury beauty.” Within each monthly subscription box, you’ll find four personalized beauty products which are typically trial-sized, but occasionally full-sized products will be included, as well. Considered one of the best natural beauty boxes, Petite Vour is affordably priced at $15 per month in the US, $23 in Canada, and $25 for the rest of the world. Art of Organics’ monthly subscription boxes are created using the best organic, natural, non-toxic, and cruelty-free beauty products that are not only high quality but also ethically sourced. Like Petit Vour, AOA is also considered one of the best natural beauty boxes on the market. The box is named “The Clean Beauty Box” and contains a variety of products, with a total average retail price of $70 (or more). They believe that “beauty should not sacrifice health” and, thus, their mission is to provide customers the cleanest and most effective products that they can find. Art of Organics subscription boxes are priced at $39 per month. Merkaela is a unique take on the subscription box trend. Rather than monthly subscription boxes, they provide seasonal boxes. The Merkaela Spring box recently sold out, but you can get your hands on the Summer box soon! Merkaela provides you with all-natural health and wellness products that are intended to nourish your body, mind, and spirit. Each one of these natural beauty boxes often contains anywhere between 7-10 products that are based around the theme of the season, as well as access to exclusive content and a curated playlist that will be complimentary to the season. If you pay each quarter-to-quarter, the box is $58; if you pay annually, the subscription box comes out to $56 per quarter. Vegan Cuts is the perfect subscription box for those in search of cruelty-free beauty products at an affordable price. Every month, you’ll receive 4-7 cosmetics and skincare products to try! A month-to-month subscription costs $22.95 in the US and $31.95 in Canada, however, the prices can decrease to as low s $18.50 per month if you prepay for a year-long subscription. Kali provides chemical free and 100% organic feminine products, and their “Kali Boxes” are conveniently shipped to you every month (or every other month) depending on your personal needs. There are six different boxes you can choose from, ranging from $16 per month to $22.89 per month so that you can receive exactly what you need to meet your needs. You can also choose your absorbency and after your first box arrives, all of your future boxes will arrive on the first of each month; you’ll receive your products exactly when you need them! Glowing Beets is dedicated to providing 100% non-toxic ingredients that are clean and cruelty-free. Every month, you’ll receive a subscription box that contains 3-4 samples or full-size beauty products for only $29.95 per month. Currently, this service only ships to the United States, U.S Territories, and APO boxes. Glowing Beets also has a shop where they sell individual clean beauty products; if you can’t commit to a subscription box service or would like one or two products only. Love Goodly was created to help women make healthier beauty choices; it is also well known as one of the best beauty boxes for those seeking to try new, natural products. That’s why the brand provides eco-friendly, vegan, and cruelty-free products that are delivered to your doorstep every other month. You’ll receive a variety of full-size beauty products and deluxe samples, as well as wellness products, snacks, and accessories. 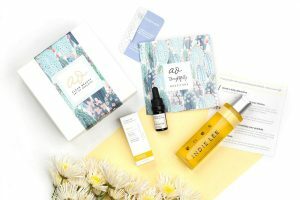 A bi-monthly box subscription with Love Goodly costs $29.95; if you live in Canada, there is an additional cost of $14.95. You can also browse their shop, where they sell a wide range of individual clean products and brands! These brands are all dedicated to providing their customers with the best natural beauty boxes, but they all do it in a different way! At Dollar Tea Club, we’re dedicated to providing you with the best premium teas in the most convenient way possible. When on the hunt for the best monthly tea subscription box, give Dollar Tea Club a try and get ready to discover a whole new world of teas! This entry was posted in Health, Uncategorised and tagged beauty box subscription, beauty boxes, best natural beauty boxes, box subscription, dollar tea club, healthy beauty, herbal tea, loose leaf tea, natural beauty, natural teas, tea.